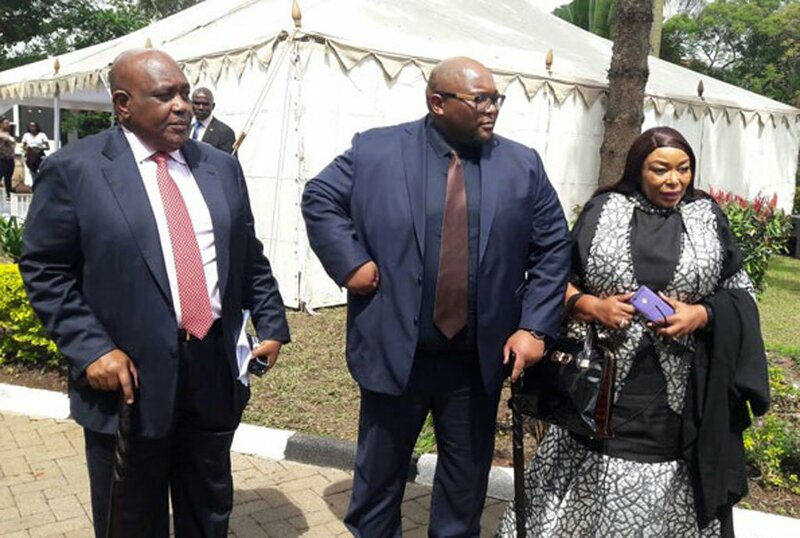 The entourage for Andile Ramaphosa, the son of South African President Cyril Ramaphosa has arrived at former Prime Minister Amama Mbabazi’s home in Kololo where the introduction ceremony is going on. On arrival Andile was slapped with a fine of a goat, for reportedly fathering a child with Mbabazi’s niece, Bridget Birungi Rwakairu before marriage. The couple has a two-months-old baby. Ramaphosa arrived in the country last evening with a marriage proposal which he will present to former Prime Minister Amama Mbabazi’s family. Ramaphosa’s has been dating Rwakairu who hails from Kigezi where the ceremony is called okushaba. This is where the groom to be visits the bride’s family to propose the marriage. Ramaphosa is accompanied by his mother Hope Ramaphosa, South African High Commissioner and city businessman Charles Mbire.